The Armidale Chamber Business Awards 2015 are now open! This is your chance to recognise - and be recognised for your - business achievements. For customers, this is a great way to say 'thank you' for the great products or service you've received. And for local businesses, it's the chance for a pat-on-the-back for your hard work in growing a successful operation in a regional location. As an Awards finalist or winner, you gain recognition across teh region. 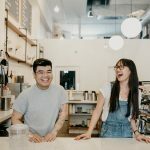 It's a great way to acknowledge and inspire your staff - and to connect with new customers by sharing your story with them. You can nominate on the attached form - or email us at office@armidalechamber.com.au - or ring us on 6771 1177 to nominate your favourite business. Entry is free - and open to all businesses in Armidale, Uralla and Walcha. 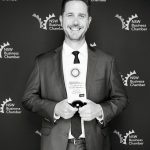 You can enter online at http://awards.nswbc.com.au/login?chamber=armidale- or email office@armidalechamber.com.au for an entry pack. Enter today - and keep the date free for the Chamber's Gala Awards evening, Friday 14 August. We hope to be giving your favourite business the recognition it deserves!